Sacrament of the Lord's Supper is celebrated each month on the first Sunday. A nursery is available for children 6 years old and under. Membership in the Choir is open to all who sing, whether it be Soprano, Alto, Tenor or Bass. We provide musical offerings for weekly worship. Rehearsals are held weekly on Wednesday in the Church gallery at 6PM (4:30PM on Family Night Supper days). Our music spans a wide spectrum from the Medieval to the contemporary. The Choir is on hiatus from June through Labor Day. Sunday School, for all ages, 9:00 a.m., preceded by breakfast at 8:30 a.m. A nursery is provided. Pastor's Bible Study, Wednesdays at 10:00 a.m.
Presbyterian Women - 1st Monday at 10:00 a.m. Covered Dish Fellowship Meals - 2nd Wednesday at 6:00 p.m. 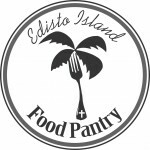 The Edisto Island Food Pantry serves an average of seventy (70) island families with monthly deliveries of food to help support most of their dietary needs for approximately one week. This food is delivered during the last part of each month to augment depleted SNAP benefits. The Pantry is located in and governed by The Presbyterian Church On Edisto Island, but with considerable monetary support and Manpower coming from Island churches, Organizations, and individuals In partnership with The Lowcountry Food Bank, the Pantry is able to maximize monetary gifts and donations, ensuring we can provide wholesome supplemental food to all our families. We would hope that no one will go to sleep hungry. Therefore the Pantry also serves as an Emergency Food source to anyone who may be hungry. The Pantry is available, generally, from 9 AM until 1 PM on Monday, Wednesday, and Thursday each week. Donations may be made via check made out to The Edisto Island Food Pantry, 2164 HWY 174, Edisto Island, SC 29438.